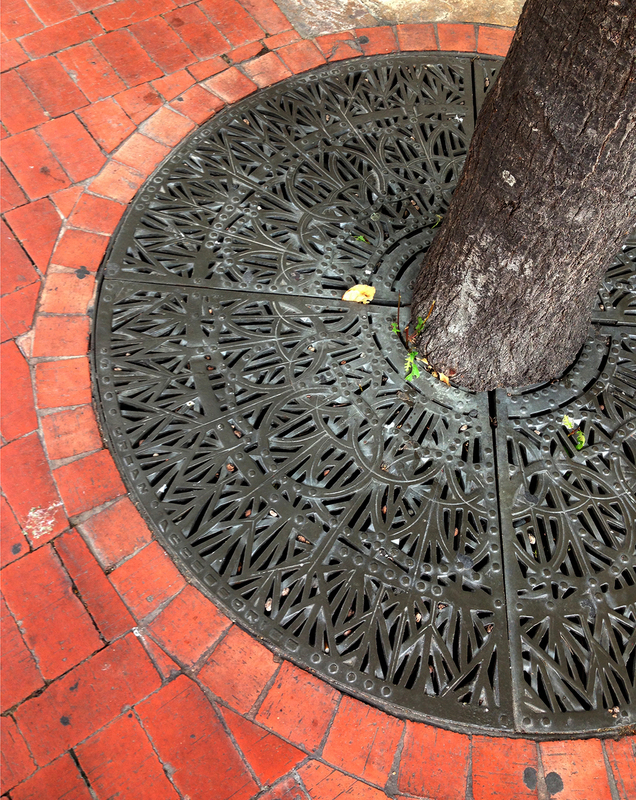 On a recent visit to San Antonio, TX, I was amazed at the wealth and variety of tile installations that adorn the city. 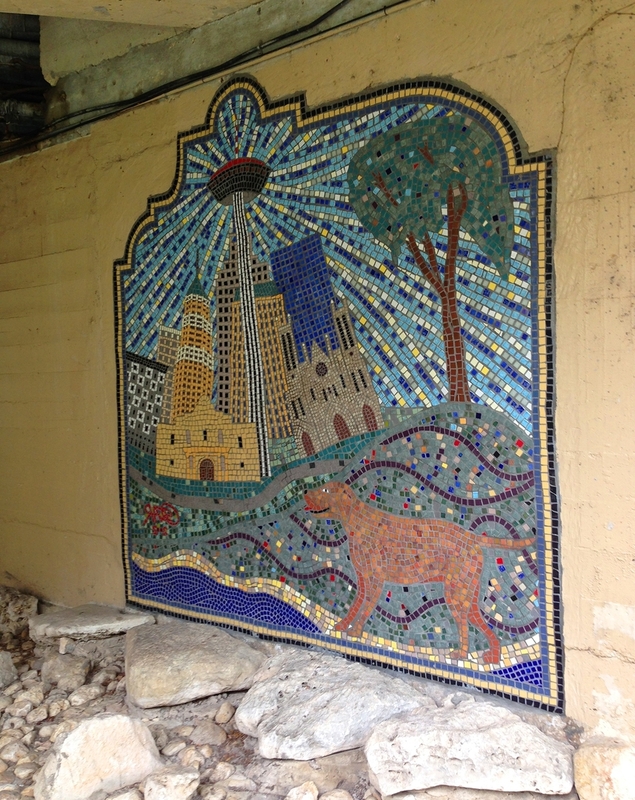 The Riverwalk is enlivened by colorful tile murals as you pass under the bridges. 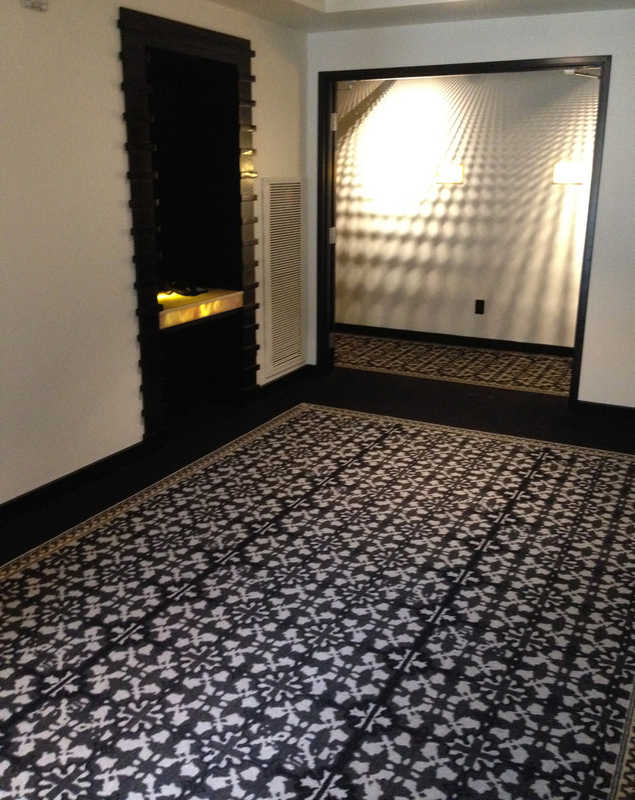 As a tile lover, I really enjoyed recognizing the origin of many of the mosaic tile used. 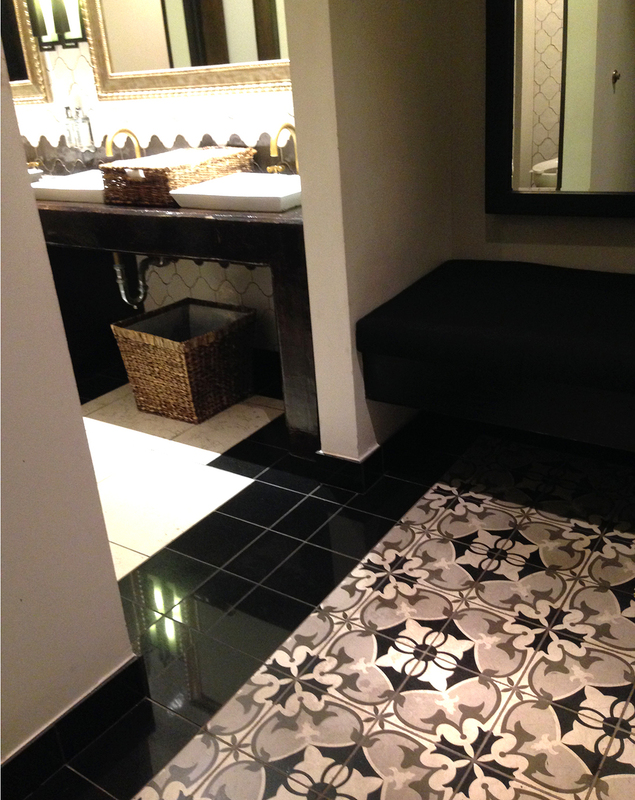 At the Hotel Valencia on the Riverwalk, I loved seeing the patterned carpet restated in the public restrooms by a wonderful decorative cement tile, inset into the marble floor. 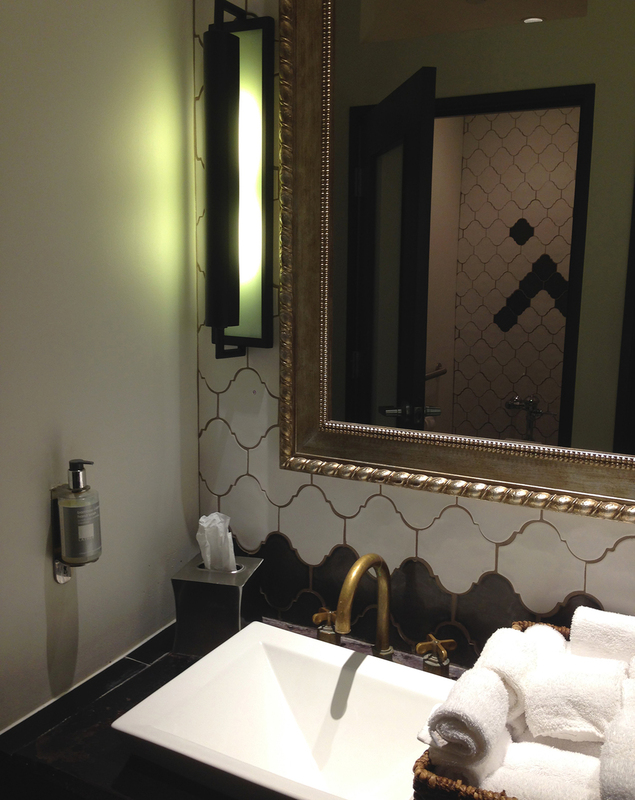 The arabesque shape from the floor pattern is repeated on the wall tile behind the vanities and in the WC. 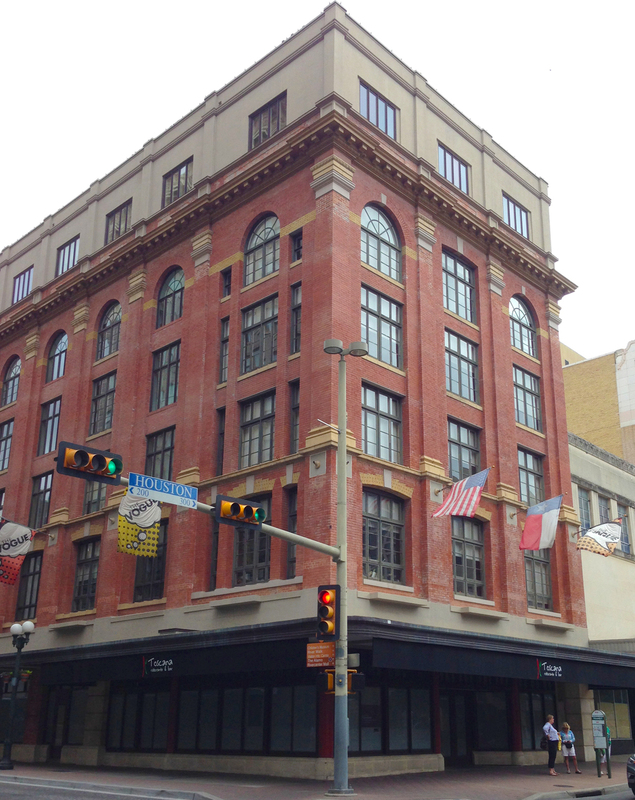 San Antonio is filled with amazing architecture restored from the 19th and 20th century. 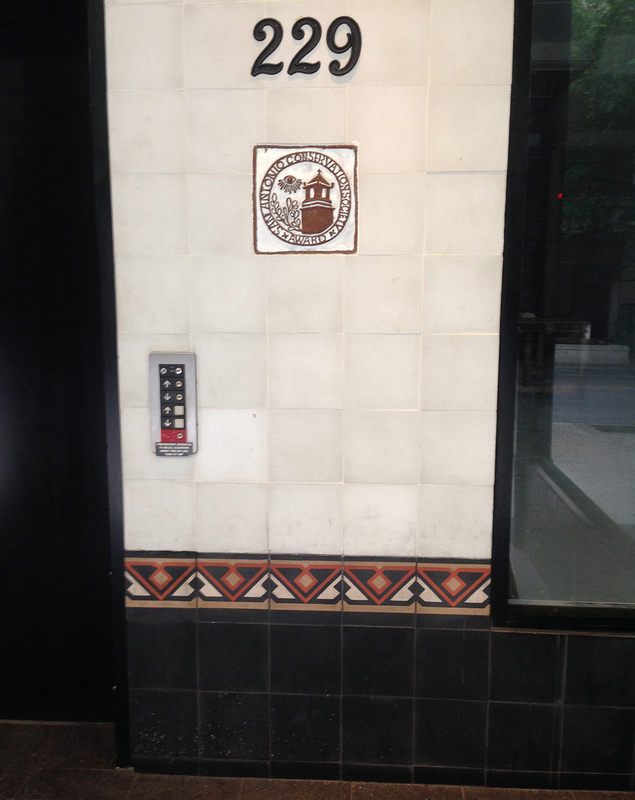 The Texas Theater is a fine example of tile that adds color and and dimension to the building facade. 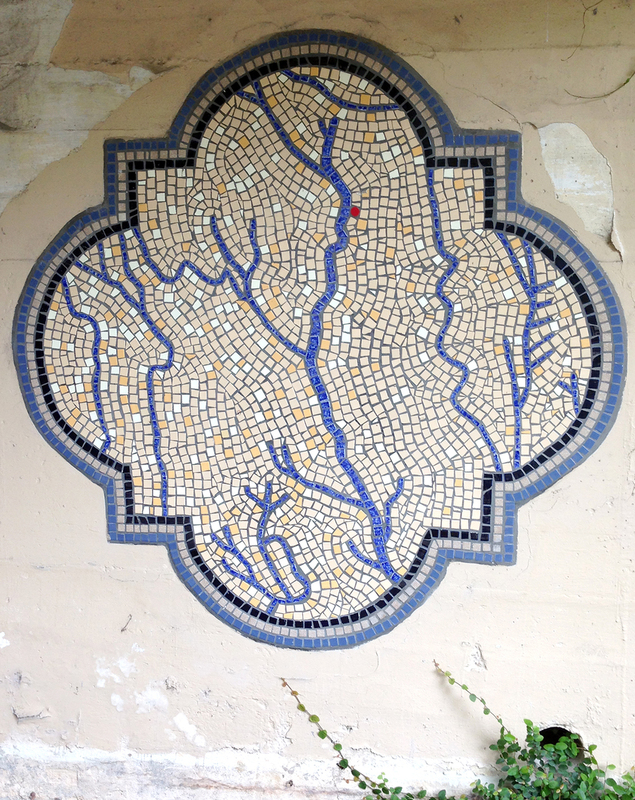 The lovely tiled lamp structures on Houston Street bridge, add color and visual interest, as well as lighting the cityscape. 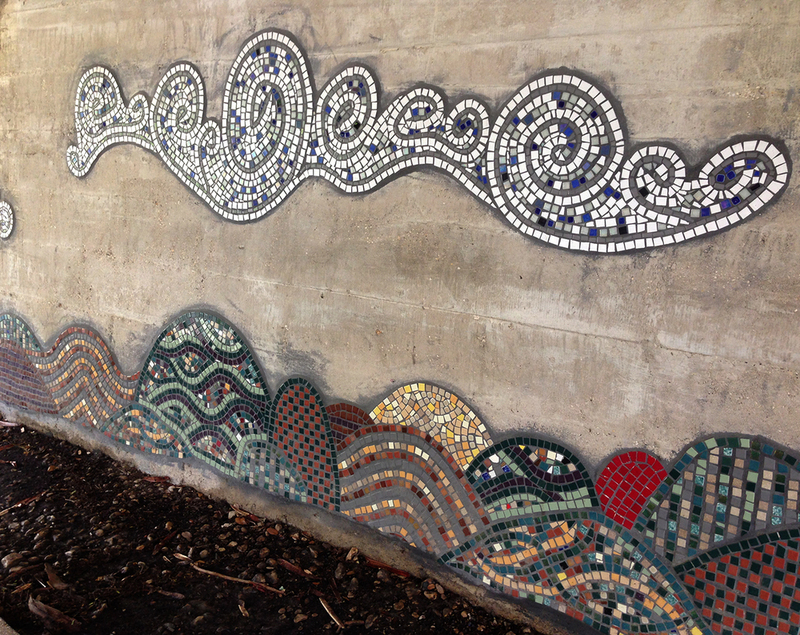 This eye-stopping mural reminded us of the "Pattern Mix" trend we recently featured.